Business measures performance and overall success based on benchmarks that have a financial outcome. Embedded within a corporation’s financial statements, are the results of customer satisfaction, employment engagement, risk management, R&D investments, and corporate responsibility. Compensation and bonuses are calculated using the profitability and sustainability of a business entity. Recently, Allison Rockwell MBA(FS) Class of 2015 and I conversed on how we may inadvertently find ourselves measuring personal success using business metrics. In the second installment of striving for success in 2019, Dr. Rick Nason discusses the question: What benchmarks, besides financial, should be used to measure a successful career? Two knee jerk reactions to this question. First is that a financial benchmark for a successful career (implied in the question) is a horrifically awful benchmark. The second knee-jerk reaction is that whatever I, or anyone else provides as an answer for this question will be both misleading and sad for anyone who mindlessly takes our answer(s) as the truth. To the first point: I believe the goal of life, and of a career, is to maximize utility. Merriam-Webster online dictionary defines utility as “fitness for some purpose or worth to some end”. Happiness is an end of worth to me. In fact, I generally equate utility with happiness, but I see the linguists starting to compose angry tweets against me, so I will move forward quickly. Love and friendship are also ends of worth to me. Laughter is an end of great worth to me. Having good food (which may or may not be fancy and expensive) with friends is an end of great worth to me. Having shelter, clothing, food and financial flexibility is also of worth to me, but not great worth. Being able to provide shelter, clothing, food and financial flexibility for my family is of much greater worth and utility to me than those things are to me personally. The important point is that “utility” is not fungible with “utility of wealth”. If you give me $20MM dollars but take away my ability to see and hear my children laugh, then I will have “utility of wealth”, but I will be bankrupt of “utility”. Trading $20MM for never seeing and hearing my girls laugh again is a trade I will never make (and neither should anyone else although I am afraid that a lot of people implicitly and unconsciously do make that sad trade). Success, like utility, is a function of the individual. You should celebrate the fact that what gives you utility (happiness) is as unique to you as your thumbprint or your DNA. This unnerves economists as the uniqueness of everyone’s utility function means that economists cannot create a general theory of economic maximization (and thus formulaically answer your question). This uniqueness, and inability to mathematically deal with this uniqueness, is one of the excuses that economists give for focusing on “utility of wealth” rather than the more appropriate “utility”. Unfortunately, we spend a lot of time focusing on some arbitrary (and sometimes downright silly) relative measures of success as we have been trained to think in terms of objective scorecards. If only the world was so simply complicated, instead of having all of this wonderful complexity that we humans bring to it, then we would have a giant formula we could operate by, and soon, some company would be offering us a personal robot and algorithm and there would be no need for us to individually exist at all. The benchmarks for success are what you as an individual determine them to be. They should not be my benchmarks, nor should they be anyone else’s. They should not be adapted from a tweeted blog titled something like “9 Factors of Success”, nor should they be based on subliminal elements from advertising. They should be developed by you though careful and thoughtful consideration. By the way, it is quite likely that your benchmarks for success will change dramatically through time and through your experience. I believe that success is a journey. Sadly (or fortunately) we can never consider ourselves a success and then call it a day. If we do, then entropy will quickly kick in. We will be unable to recognize the many opportunities that are available to those who continue to strive in a complex environment. Whatever measure(s) of success you come up with you, comparison should not be part of the process. Regardless of the measure (unless it is laughably low), you may fall short compared to someone else. However, success is not a zero-sum game; or a game at all for that matter. Success is relative, and you need to make the difficult calculations of the most useful level of relativeness to you. As for me, every day when I set off into the world, I say a little prayer that the world will be a “little better place because I existed”. Some days I clearly fail in that goal. I may say something politically incorrect, my hair gets in someone’s face, my exam questions are too long or too difficult etc. etc. etc. However, success for me is in the trying. Failure is still success if you are trying to increase your utility (and for me, the utility of others). Are you still actually reading this!? Get out there and be successful! We have entered 2019, a fresh new year of opportunities and challenges that will engage our time, resources and imaginations. Whatever project, work or activity we undertake, there is a hope, an expectation of success. But how do we define “success” and experience an authentic sense of accomplishment that enlivens and vitalizes our spirits. In the weeks leading up to the end of 2018, CEGE Connection reached out to Dr. Rick Nason for his thoughts on the pursuit of success in 2019. We are pleased to present the first post in a series by Dr. Rick Nason that will discuss the theme of success within our dynamic, ever-changing global world. We invite you to join the conversation. It is important to note that striving to get better does not always mean that you will be getting better continually. Striving to get better means that you will need to take risks – some of which may not pay off. Striving to get better involves detours, and doubts and set-backs. Striving to get better is not a linear (much less an exponential) upward path. Striving to get better comes with no guarantees – either explicit or implicit. Success is enjoying the strive (even though it is not always enjoyable). Success is embracing the strive (although often the strive is ugly and unlikable). Success is getting high on the endorphins that striving provides (although striving just as often produces headaches and heartaches and the most dreaded esteem aches). Success is realizing the value of the strive to become your best self is success personified in you, your thoughts, and your actions. The children’s game of tic-tac-toe and the adult game of chess are both examples of complicated systems. Tic-tac-toe is a game that can be solved. That is, you can predetermine a precise set of rules that lead to the optimal results each time you play. Theoretically, you can also do the same for chess, although the computer large enough to do so has not been invented yet (and perhaps will never be developed). The number of possible combinations of moves in chess is simply too large for even the most powerful computers to calculate. Thus, the most experienced chess masters only try to anticipate a few moves ahead and play more for position than solving of an optimal problem. It is a “manage, not solve” mentality. Tic-tac-toe and chess illustrate that complicated systems can be either very easy to understand or so complicated that they are virtually unsolvable. Now consider the game of business. Is business more like tic-tac-toe, in that there are a limited number of moves and combinations, or is business more like chess? The quick answer is that business is more like chess, in that there are an infinite number of combinations that can be played out in any business situation. Furthermore, in business there is the presence of emergence, so the task of “solving” becomes even more impossible. So, if it is not possible to “solve” a game of chess, does it not also make sense that it is not possible to “solve” business problems? Complex situations do not lend themselves to a solution, and it is folly to spend the time, energy, or effort even to attempt to create solutions. Yet this is exactly how the complicated way of thinking works. It is in evidence when companies try to optimize complex activities such as marketing strategy, production schedules based on demand, or long-range planning. This form of thinking is especially evident in economics, as politicians all promise solutions to economic ills. When playing chess, you have to play in the moment, based on the actions of your opponent, keeping in mind as well your relative position at any given point in time. It is not possible to plan out all situations, and of course the unexpected can always happen. For instance, your opponent may make a particularly ill-advised move. Perfectly rational planning would imply that such an event could not occur as that would imply that you opponent is stupid and irrational. Any businesses that are run stupidly and irrationally are soon replaced by more astute rivals. Likewise, our opponent can make a particularly spectacular move that you will unexpectedly need to defend against. In chess, you have to manage the situation. A similar strategy also words for business. The key is to think “manage, not solve.”. Organizations continually face new challenges as the environments in which they operate evolve and change. This evolution can take many forms and directions. 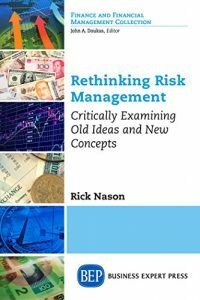 I agree with Rick Nason that managers must possess an adaptive mindset if they wish to succeed in these shifting environments. Organizations of all sizes must embrace complexity and set a clear path for managers at all levels to acquire and possess the right leadership tools to manage this complexity, so they can proactively execute the corporate strategy rather than passively react to a changing environment and lose their focus. I firmly believe that effective top-down and bottom-up communication is critical in establishing the right foundation allowing adaptive managers to thrive in a complex world. Taking the time to instill an environment that embraces open communication and that promotes feedback loops requires first and foremost executive support. This support is necessary as linking all levels of management to a common goal: One that breaks silos and challenges legacy knowledge can only nurture this evolution if executives practice what they preach. Adaptive managers must become experts of communication. Like professional athletes seeking to improve every aspect of their performance, they must embrace all types of feedback to grow and learn. This feedback must come from multiple sources (peers, direct reports, supervisors) and effective managers will seek and engage all stakeholders early and often to receive this valued feedback, which I view as “small gifts”. Adaptive managers must also promote a culture of “curiosity”. Empowering individuals within their teams to question the status quo or view the organization through an external lens, one that is disruptive to the way the organization operates. These discussions can only be beneficial. Allowing team members to innovate/create or problem-solve amongst themselves without the direct influence of management fosters a test-learn-adapt environment, one that is conducive to continuous and relevant improvements while remaining focused on the clients’ evolving needs (thus avoiding the Kodak fate). Each journey is unique and often times beyond the comprehension of the ‘complicated’ thinker. In a recent post, Joyline Makani and Martine Durier-Copp stated that developing an adaptive mindset was a critical component of deeper learning. Rick Nason agrees, suggesting that the adaptive mindset is essential to succeed within our current environment that boasts an insatiable appetite for complexity. Rather than be discouraged by seemingly unmanageable problems, Rick believes that complexity can present advantages to the astute manager. In a complex environment, it is truly rare that a grand plan or strategy will work as intended. Successful managers, however, are not discouraged by this. They learn from their missteps and use their learning to move forward with a new angle on the problem. They essentially learn as they go. Furthermore, they expect to learn as they go. Complicated thinkers tend to get too intellectually invested in an idea and refuse to let go, despite sometimes overwhelming evidence that the plan is not working. Complexity thinkers have the humility and flexibility not to get trapped into this low-probability strategy. With a try, learn, and adapt approach, organizations have to allow for mistakes to be made and for risks to be taken. They do not take large bets on grand projects or get too invested in comprehensive plans. A key characteristic of complexity is adaption. To succeed with complexity, an organization must also be continually adapting. It is important to note that this does not necessarily mean getting better or continually improving. It is quite possible to keep continually improving on all of the wrong things. Kodak continued to improve its film products, but when digital photos replaced film, all of the continual improvement was for naught. Steen Madsen, Investment Advisor, RBC Dominion Securities graduated in the MBA (FS) Class of 2016. 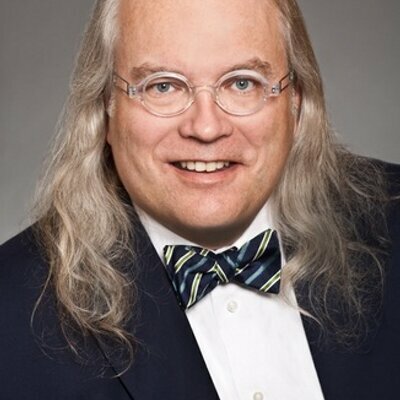 In a recent virtual interview with CFAME Connection, Steen reflected on his academic journey, offering profound insight into the opportunities and challenges facing those involved in life-long learning. To be honest, I had the thought of attaining an MBA for 20 years – a bucket list item if you want to call it! The MBA (FS) program offered rich academic content with a high degree of real-world learning supporting the entire program. I wanted education that went beyond my industry, which would allow me to explore other career opportunities beyond banking. As Rick Nason would say, I embraced the spirit of emergence when I decided to enroll in the MBA(FS). Working within banking and wealth management roles, requires that I must continually adapt to a changing environment both in the market place and within an evolving organization. Studying alongside other industry participants provided new perspectives which inspired me to move forward personally as well as professionally. For someone just starting the MBA program, time management will be critical. Use your existing scheduling skills to their fullest and learn to block chunks of time to get the work load and studying done. Use this time wisely, not only to achieve a mark, but to gain knowledge. Integrating an academic journey into the reality of family life and career responsibilities requires a thoughtful approach. The first step starts with a scheduling dynamic that is backed by family permission to spend the hours to get each course done. When I started the program, my daughter was 3 years old; when I graduated, she had turned seven. This meant that her entire memory and impression of her Dad throughtout that time was of me studying in my home office. During those years, there was a shift in philosophy of what is important, that learning for the sake of acquiring knowledge was the ultimate goal. When I received the letter of acceptance, “congratulations, you’re in.” I bought a Dal sweatshirt. I wore that same sweatshirt for each and every intensive exam, the entire length of the program (4 years), kind of like a lucky charm. Hah, it worked! Believe it or not, I wasn’t the only one to do that! My next challenge is back to studying. This time a must because it is my insurance licensing which will be a small part of my wealth management business going forward. I still balance work hours with family life because my kids are 8 and 11 and between homework-help and activities there is little time other than the odd NFL game or UFC fight to watch. I really enjoy being a Dad and the time I spend with my children is a blessing. I appreciate every moment – they are only young once!